A squad of infantry from the Terran Republic stage at a rally point before advancing to their point of attack. Perhaps you played Planetside 2 during the beta or the day of release or a few days, weeks or months after release. Maybe you something turned you away, the game was and still is largely a work in progress. You might have rage quit vowing to never play the game again or put it aside intending to return someday in the future when all is fixed. 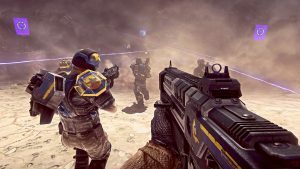 The game seems to have a high turnover rate with players after all most definitely caused by the torrent of bugs, exploits, balance issues, performance issues and last but not least the incompatibility with the lone wolf style of personal gameplay that has become rather popular in online first person shooters. I was disappointed that Hossin, the swamp continent from the first Planetside was not a part of the Game Update 14 after a video of the continent was released shortly before the update. Let’s take a step back though. SOE has said that Game Updates are the largest of updates they will make to the game. They bring the most changes and additions at a single time. The game released in November of 2012. It is now August of 2013 – 9 months since release – and there have been 14 of these major updates. That is some serious progress. A lot of players left in January when Game Update 2 removed a lot of the “cert farming” methods inherent in the game at the time. I feel that the players that left have lost touch with gaming. They have grown into games where long and tedious sessions of some sort of progression grind is the norm. They are accustomed to playing games whose developers lack the creativity to make their games truly captivating and infinitely interesting so they build in a sense of progress that requires X amount of game play hours to accomplish. Planetside 2 is a game that breaks the mold because it is not a game where you are supposed to farm or grind. It is a game that you just play. Sure there are players that are in it for the farm but once they have accomplished their end goals by farming there is nothing left for them in Planetside 2 and they go the way of the Dodo bird and move onto some other game. The players that have just played Planetside are the regulars, the ones that have been around since the beginning. They know that the game is about endless possibilities and not a cookie-cutter first person shooter where every player memorizes all the popular maps and knows all the stale strategies that are commonly used on each map. They know the game is all about taking and defending territory and that is where the most fun is to be had. 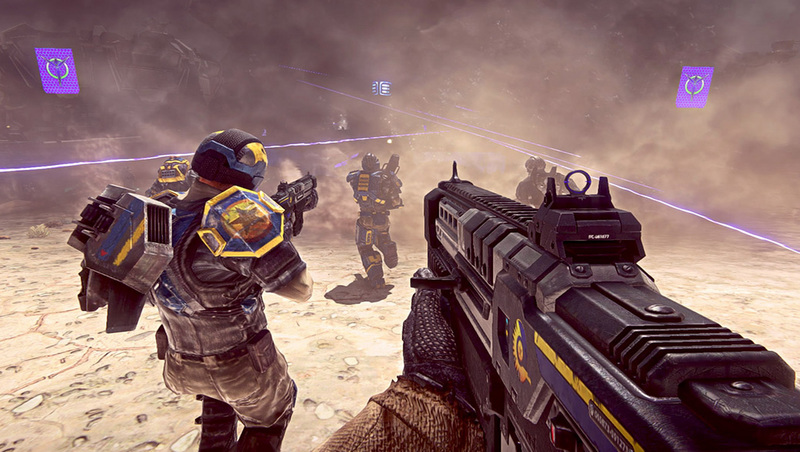 Planetside 2 is a gem among dull rocks in the shooter world. What other shooter gives you completely different and unique scenarios on the same map every time you play? So if you are still reading this and you have maybe put Planetside 2 on the shelf or you rage quit because of some change or “imbalance” in the game, I urge you to reinstall the game today and just play it. Forget about cert farming or padding kill counts. Hop into a squad that is actually working together and give the game about a week of your time. Just have fun taking bases and defending bases because that is what all of the 10 year veterans of the Planetside franchise have been doing all along. For the regulars, it isn’t about a nice K/D ratio or stack of experience and cert points – it’s about working together as a team to defeat the enemy.